We have been in Sanur, Bali for four full days and will be moving on tomorrow. 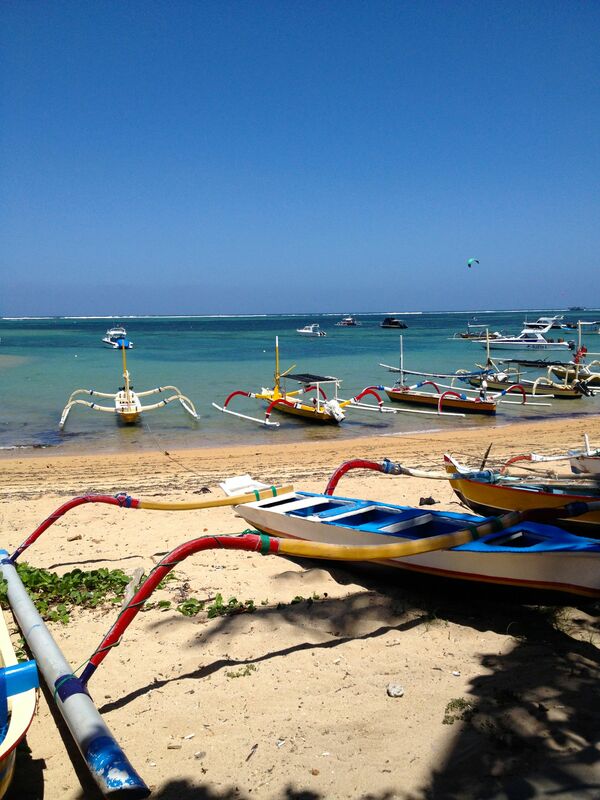 It’s a sleepy little resort area away from the party crowds of Kuta and the ultra luxury of Seminyak. It is beautiful! Although not the most exciting area in terms of night life, it’s a good starting point for recovering from jetlag (we’re ready to hit the sack by 8 PM anyway) and there’s a great beach promenade with lots of restaurants and warungs to enjoy watching the turquoise waves crashing over the reef that shelters shore. The climate here is balmy – hot away from from the water but there are constant sea breezes along the beach to keep cool. 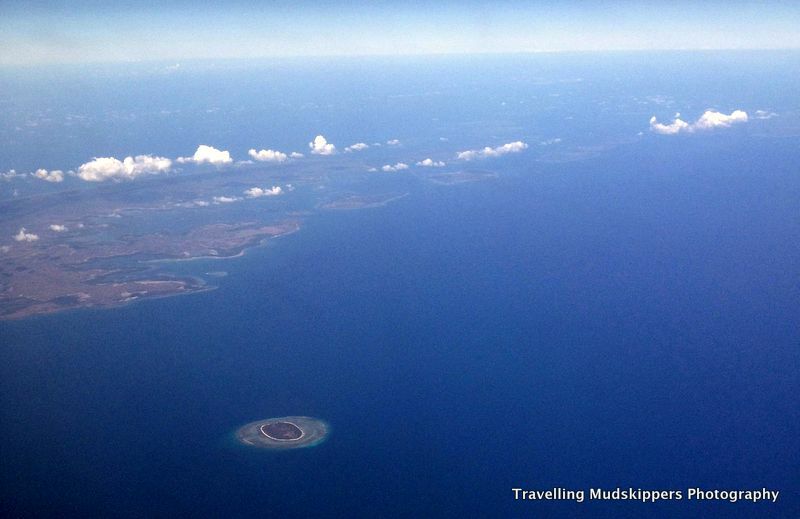 The water is shallow so the shore is made up of hundreds of tidal pools during low tide. Yesterday afternoon, we wandered the shoreline at lowest tide, watching mudskippers and small crabs dart from our path. The sea was calm with no real waves on our first two days here but today, it was much rougher with huge whitecaps crashing over the distant reef to the delight of surfers and smaller rolling waves close to shore that made the other popular water sports such as kite surfing and waterskiing that much more challenging. We were not feeling adventurous enough to try any of these activities, despite being constantly solicited to do so as we wandered the promenade. The promenade is lined with shops, massage stands, water sports proprietors and restaurants and the Balinese shop keepers constantly try to sell their wares to every passerby. Saying “no thank you” is returned with “maybe later?” or “maybe tomorrow?” and if you agree, they tell you that they will watch for you and give you a discount. Although never rude and always smiling, their pushy barrage can be overwhelming at times! Today, after eating lunch in a beachside restaurant, we were approached by a very friendly older Balinese woman, offering a neck and shoulder massage who did not take no for an answer. She began massaging my neck before even asking if I wanted it. At first I resisted, stating that I did not want it but, as I felt the stress leaving my tired muscles, the $3 for about 15 minutes, seemed like money well spent! The prices in this resort area are not cheap but there are still deals to be had away from high touristy areas. There are plenty of cheap local hangouts at the southwest end of the beach near a large open grassy area that is used by locals for kite flying. They are not the kites we are used to in Canada. 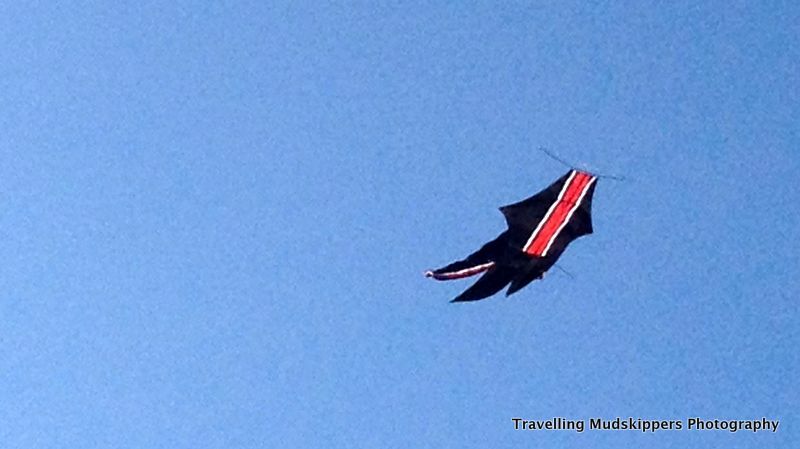 These kites are often in the shape of huge catfishes and require a team of people to get them airborne. They are made from cotton with bamboo frames and are an average 30 feet long although we saw an even larger team guiding one kite to the ground that looked twice that size with a very intricately carved dragon’s head – it was beautiful. When they are not in flight, they are stored on huge bamboo platforms with rocks and logs tied to them to keep them in place. Every day, the sky is dotted with plenty of kites and it is amazing to see how high they can go. We watched as a team of six people bring one of these flying catfishes to life and it was a well-choreographed affair. There were also plenty of local spectators which suggested to us that this is a very popular pastime and seemed to have a competitive edge to it. Hopefully, we can learn more about this cultural hobby while we’re here. 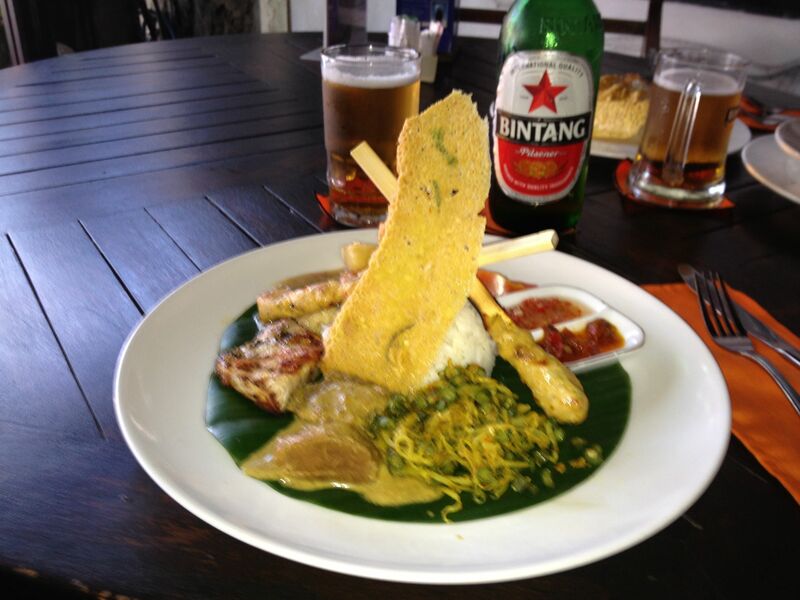 Sanur’s restaurants are plentiful and offer everything a Westerner would crave. Each one has a selection of Balinese and Indonesian offerings but, as they cater to the tourists who come here for a week and then fly home again (mostly form Europe, UK and Australia, it was challenging to find anything really spicy. Our spiciest food so far was at a restaurant away from the beach. 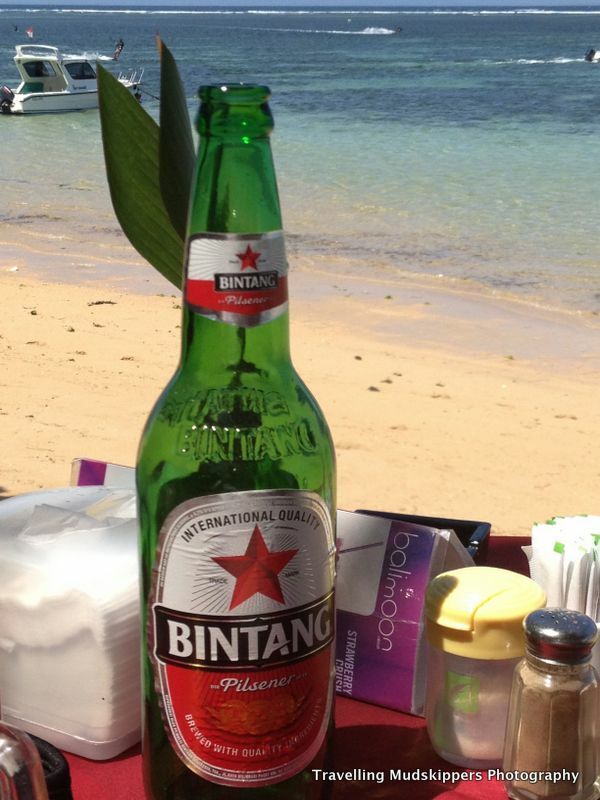 The common beer here is Bintang, which is a pretty light pilsner. Not too exciting, but refreshing after a day in the hot sun! We have enjoyed our stay but we are happy to be moving on soon. Our next stop will be Amed, Bali and then we hope to travel to the Gili Islands and Lombok. We’ve heard that Amed has great snorkelling and black volcanic sand beaches and that it is much less touristy so we’re looking forward to seeing a bit more real Bali. 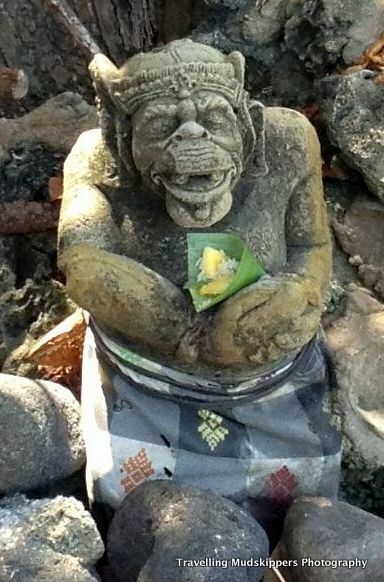 And hopefully, we can have a more genuine interactions with local Balinese without being asked to buy things constantly! As always, thanks for reading, following and sharing. We appreciate your comments too! Thanks for joining us on our adventures. Hopefully we will have more consistent WiFi as we go so we can update the blog more often. 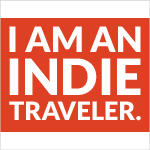 I hope you plan to venture inland to Ubud. Bali is a much different scene once you leave the beaches. There are amazing traditional performances, art museums, the incredible Monkey Forest, and endless shopping opportunities. Not to mention the night life! Try Napi Orti on Monkey Forest Road, and CP Lounge by the football field. They start at 9, but things don’t really get going until 10 – 11 at night. The live music and dancing are worth the wait. Yes, we plan to fly out of Bali when our visas run out, so we’re intending to spend some time in Ubud on our way back to Denpassar in the end of October. We’ll check out the places you suggest when we get there! Thanks for the suggestions. Your post is making me want to re-visit Bali! Sounds like a good start to your trip. Thanks Kristen. We’re loving it!